It’s no secret that I’m a huge Harry Potter nerd. I have two full sets of the books, and I’ve lost track of how many times I’ve read them. Harry Potter is synonymous with my childhood, and anything set in the HP universe is bound to trigger warm and fuzzy nostalgia for me. The bar is set very low when it comes to my enjoyment for things in this franchise. I’m in the minority of fans in the sense that I didn’t even mind The Cursed Child. It was kind of silly, but you better believe I curled up in bed and read that screenplay in a single sitting, because the final Harry Potter book came out in 2007 and at this point I’ll take what I can get. That being said, we need to talk about The Crimes of Grindelwald. Spoilers ahead. Obviously. First and foremost, Queenie Goldstein deserved better. Queenie was one of my favorite characters in the first movie; I thought she was ridiculously charming and funny. The Queenie in the first movie exuded sweetness. I don’t recognize the Queenie in The Crimes of Grindelwald. One could argue that her habit of reading minds without permission foreshadowed the serious lack of respect for another person’s agency that we see in her willingness to place Jacob under a spell. However, I think there’s a huge gap between reading someone’s thoughts (something t he second movie suggests she may not always be able to control via the scene where she has an emotional breakdown in the street while overwhelmed by the thoughts of the crowed around her) and totally removing their free will with a charm. Queenie can’t accept Jacob’s conditions for the relationship, so after their falling out over his understandable outrage at being magically controlled, Queenie takes off, where she’s intercepted by followers of Grindelwald, who successfully recruit her. What? Queenie is so distraught over not being allowed to marry her muggle boyfriend that she aligns herself with an anti-muggle hate group? And on that note, why was she recruited by Grindelwald’s followers in the first place? It seems he made a special point of getting to Queenie, but there was never anything in the narrative to suggest why she was a target for recruitment. And on that note, the whole concept of having a character with the last name “Goldstein” (i.e., coded as Jewish) going over to the side of a character who is basically a stand-in for Hitler is…. yikes. I could go on for a lot longer, but to summarize this part, basically everything about Queenie’s storyline was baffling to me. Why does Jacob have his memories back? Yes, I know, this is probably the least original complaint about this movie, but that’s because it’s valid. That hand-wavy explanation offered in the movie (“It only erased bad memories!! !”) is so ridiculously unsatisfying. That’s not how it was written in the first movie, and you can bet that if only bad/traumatic memories were actually erased, there were a lot of other muggles (sorry-“no-mag”) running around New York with memories the MoM doesn’t want them keeping. What was particularly frustrating to me about this plot point was that it was totally unnecessary to keep Jacob in the story. If they wanted to bring him back, considering there was somewhat of a time jump between the movies, there were better ways to do this. Queenie finds Jacob in his bakery at the end of the first installment. Queenie and Jacob had more than enough time to gradually fall in love all over again and for Queenie to fill Jacob in on everything that had been erased. And even if that all necessarily happened off-screen, it would still be an infinitely more satisfying story than “the spell didn’t take because Rowling realized Jacob was a fan favorite and didn’t know how to bring him back without retconning her own story.” If the franchise had switched writers between installments, I’d probably be more inclined to ignore the parts that don’t line well with the first movie, but this is all Rowling. After all the work she put into the HP series, how is she seemingly unable to properly plan ahead from one movie to the next? 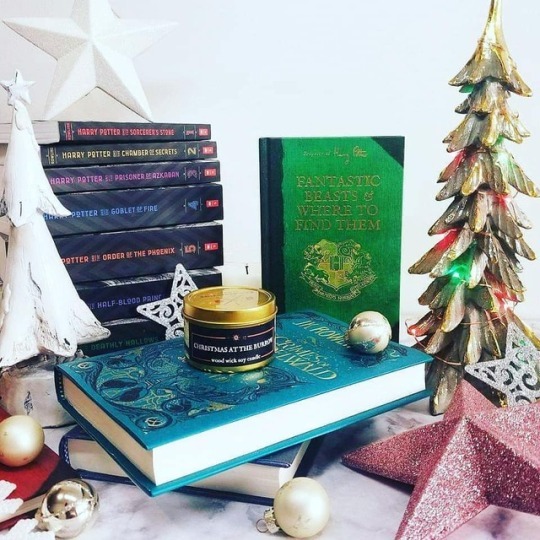 In a shameless case of Rowling wanting to have her cake and eat it too, we finally have a story that touches on Dumbledore’s youth and his love affair with Grindelwald that was never confirmed in the original series because it “wasn’t relevant to Harry’s story.” Well, it’s relevant now, but do we have any canon acknowledgement of Dumbledore’s sexuality? Ehhh, yes and no. One could argue for the “we were closer than brothers line” being just that, but given the needless inclusion of the blood oath plot line, which seems inserted solely to distract from any possible romantic motivations behind Dumbledore’s inability to fight Grindelwald, it’s pretty clear that the creators aren’t comfortable with any explicit acknowledgement of Dumbledore’s sexuality outside of J.K. Rowling’s twitter. The hero can’t fight the villain because magic? 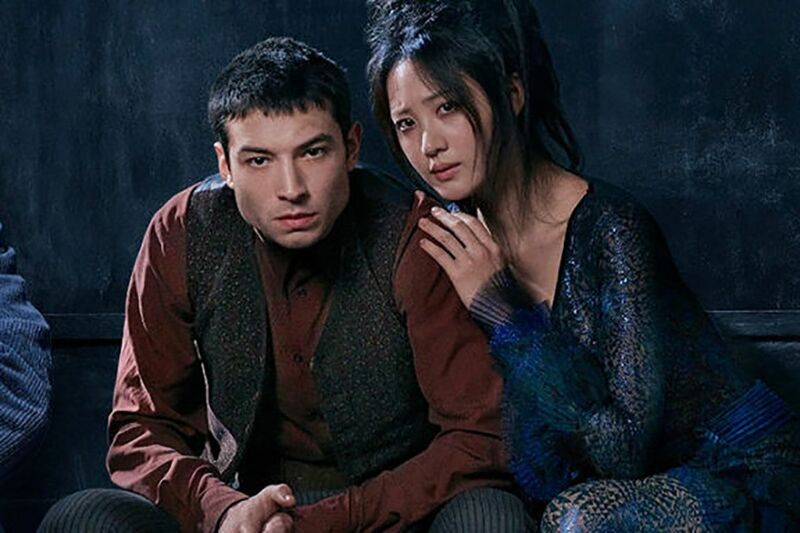 No one was scrambling to get a backstory for Voldemort’s snake, and in the face of criticisms about lack of representation, making an Asian woman the pureblood supremacist’s future pet was possibly the worst possible response. But if they were going to do this, they could have at least given her some dimension. What does she add to the plot here? She follows Credence around looking sad. She could have been entirely removed from the plot with little to no consequences to the overall narrative. To be fair, there are more movies to come in this franchise, so perhaps that changes, but as it currently stands, I’m baffled as to why she was even in the movie. Leaving aside the fact that his survival of the events of the first movie feels ridiculously far-fetched (why don’t we at least have more characters questioning how he’s still alive? ), the revelation of his back story is so convoluted it makes my head spin. First you have the convoluted back story of the person Kama believed him to be: little brother of Leta Lestrange, who Kama was determined to kill for revenge, because Leta’s father essentially kidnapped and raped Kama’s mother through use of the Imperius Curse. Kama wants to kill the one thing Leta’s father loved the most, and he never loved Leta (sorry, Leta) so he’ll have to kill the little brother instead. Their father had sent them overseas to keep them safe. The revelation at the end is that Credence is some long lost Dumbledore brother. (Based on everyone’s ages in this film, it might take some rather fuzzy math to make that happen, but considering we have Minerva McGonagall teaching in this film, fuzzy math doesn’t seem to be a deterrent here.) I’m honestly hoping against hope that this is Grindelwald trying to manipulate him, because I don’t see how this can lead up to the later story that we already know from the original series. Surely with all the emphasis on Dumbledore’s backstory in Deathly Hallows, an extra Dumbledore brother who was a major driving force in the conflict with Grindelwald would have come up at some point? This may seem like a minor quibble, but I can’t get over the scene with the lizard… thing. Screenwriters have long used hurting animals as a shortcut to get us to hate a villain. What bothers me about it in this case is how it doesn’t seem to jive with what else is going on in this scene. Grindelwald has escaped prison by swapping places with a follower in disguise. He then risks everything to break out that follower, seemingly a sign that he values loyalty. What exactly was the motivation for tossing his loyal pet out the window? I get what Rowling was going for here, but I don’t at all get Grindelwald. The scene just felt like a gratuitous, cheap “see? he’s evil!” nod to the audience. The many messy plot lines of this installment almost served to completely obscure the hero of the first movie, Newt Scamander. He often felt like an afterthought in this movie, which is an absolute shame, because he’s definitely one of my favorite male heroes in a long while. Newt’s primary characteristics are his curiosity and nurturing nature. Newt is shy and awkward, and seems to show signs of being on the autism spectrum (various mannerisms, difficulty with social cues, his lack of eye contact and physical contact, fantastic beasts as a special interest, etc.). The world has seen so many hyper-masculine heroes whose primary hobbies are brooding and punching things that Newt feels really refreshing and interesting. Newt is a Hufflepuff, through and through, and the world can definitely use some more Hufflepuff heroes. This installment really fell flat for me, but lord knows I’ll be back for the next installment to see more of Newt. This is such a well thought-out post! I’m totally with you on the baffling way Queenie was handled. I get they’re trying to show that good people can be won round by extremists if they prey on their insecurities, but one 30 second conversation with Grindelwald would NEVER be enough for Queenie to turn her back on everything she loves and stands for. We didn’t even get a single interaction between her and her sister! And YES, having Nagini suddenly be a human, McGonagall at Hogwarts, and a secret long-lost Dumbledore brother were all entirely unnecessary. I thought the first movie struck a perfect balance of nostalgic nods to HP and new characters/content that allowed Fantastic Beasts to stand on its own merits. But this movie tried WAY too hard to tie everything back directly to HP, to the extent that Rowling has now created a myriad of plot holes that she’ll try and explain away as deliberate, rather than just admitting she’s making a lot of it up as she goes along. “But this movie tried WAY too hard to tie everything back directly to HP” yes, exactly this! I wish she would just let it be its own story rather than wrecking the continuity of everything in the original series. Couldn’t agree more 👏🏼 The first movie was excellent, and there’s so much potential for the series. I just hope she actually listens to fan feedback and reigns things in for the next one. Newt is so pure but the rest of this movie can burn. Also Newt and Tina have the most awkward relationship in my opinion. It’s like no one saw them together before they cast the actress. There’s no chemistry there. I know Newt is awkward but this definitely isn’t just that. Their relationship feels hollow. I honestly have no idea where they hope this movie is going. At this point they’ve made Grindlewald seem significantly more powerful than Voldemort already. Also Nicolas Flamel was a joke, I feel like they’re just trying to shove in as many familiar names as possible in hopes that the nostalgia will blind us. Absolutely agree about Flamel! I almost included a section on him but this was getting unusually long for one of my posts, so I ended up leaving a lot out. lol. It’s really clear that they wanted to shoe-horn in as many nods to the original series as possible (hence McGonagall teaching before she was BORN) and there’s no big issue with that if you do it sparingly and you can actually make it work. I didn’t mind seeing Hogwarts again. It made me feel all warm and fuzzy. But the references got to be so over the top at times. Let Fantastic Beasts be its own series. Their attempts at triggering nostalgia are just producing continuity errors like there’s no tomorrow. I loved seeing Hogwarts, and the music playing was honestly the best part of the film. I think they know somewhere deep down that people are only watching because of their loyalty to Harry Potter and they’re scared they’ll lose viewers if they stray too far. I am so glad that you put into words what my thoughts have been about this movie. I am really starting to be disenchanted by anything Rowling comes up with nowadays. From the really unnecessary way of handling Queenie’s character, to Credence, to Dumbledore and Grindelwald’s history, McGonnagall at Hogwarts before she is even born (I am not even going to touch Nagini here), everything is just a mess and not a pretty mess at that. If I had to take away one good thing out of it, then it might have been Newt himself, his relationship with both Theseus and Leta were a bright light in all the dark, muddling plots, if I am being honest. I’m becoming disenchanted, too, and it’s such a shame because I have so much love for the HP universe.